With the release of SharePoint 2016, there is a lot of talk about the collaboration platform’s brand new features. It’s been a much anticipated release that represents Microsoft’s play for document-in-the-cloud and enterprise collaboration dominance. Regardless of whether the new release was on your calendar, the chances are high (especially if you are reading this blog) that you've heard about SharePoint in one way or another. Whatever your circumstances, we’d like to offer a little foundational knowledge to help you understand the concepts behind SharePoint. When learning something new, it’s vital to get a firm grasp of the basics so you can build up your knowledge and skills. We’ll take a look at the important fundamental concepts that make SharePoint what it is. SharePoint is Microsoft’s browser-based content management system that allows a centralized, protected space for document sharing and collaboration. Serving over 200,000+ organizations worldwide, these companies use SharePoint to build intranets and store, organize and share information from across the business in one central location. SharePoint can be hard to define because it’s flexible and can be used in a lot of different ways: it’s a document storage site, but also a collaboration tool – it’s a place for running daily workflows and processes, but also a place to read company communications. And yet, it’s not simply just any one of these things. So, it’s important not to see SharePoint as a single tool, but rather a platform that enables a lot of different workplace activities. When we talk about “sites” we mean places where people can work together, find, and save information. Sites also facilitate collaboration - you can invite members of your team to work on a site with you. 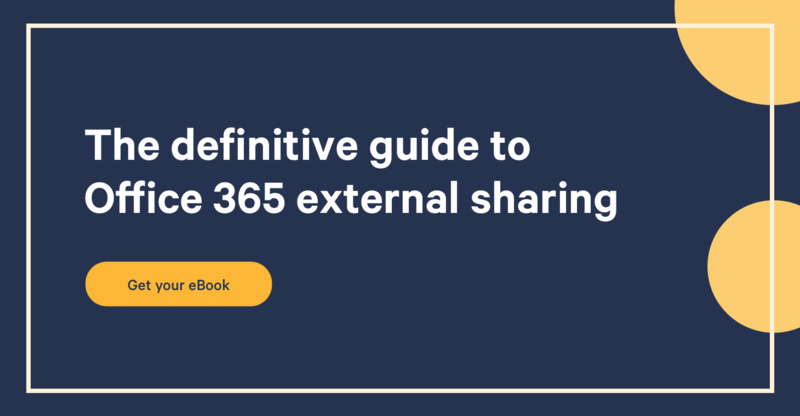 Sites offer a common platform for collaboration, meaning when a number of people are saving content to a site, that content can be accessed and shared by the site members, and everyone knows where specific documents (and their latest versions) are being stored. Up-to-date task lists, the latest version of your calendar – all are stored on your Team Site so you don’t have to continuously ask around for these documents. You (or a site administrator) can decide who has access to each site. Rights can be based on things like geography, departments, common tasks, etc. Think about the amount of content that is produced across your entire organization – from documents to reports to image files and more. Depending on the size of your company, finding the right document in the haystack could prove difficult; be it a PowerPoint presentation, an Excel sheet, a word doc or another piece of content. That’s why Search is such a vital aspect of SharePoint. The great thing about having all of our teams’ content in one place is that we can draw insights from that data which wouldn’t be possible if the various pieces of content were sitting in different inboxes, or on individual hard drives or laptops. Once we have a good grasp of what SharePoint Sites are, it’s important to talk about what they're made up of, namely: Lists and Libraries. Lists are the basic building blocks of SharePoint. Almost everything we create in SharePoint is kept in a list. A list is basically headings and rows of data, much like you would have in an Excel spreadsheet. An example of a list might be your current client list. A SharePoint list is a lot more dynamic than if you kept your clients in Excel, for instance. View and interact with a depth in SharePoint that wouldn’t be available in a simple spreadsheet. Lists can be accessed and updated from all team site members – without having to create a new version. Link and sync with Outlook and specific users. List view of a project – including task timelines - can be accessed, added to, and edited by anyone with access from anywhere at any time. Libraries are themselves actually lists. This sounds confusing, but it’s quite straightforward really. Think of your libraries as folders that contain documents and other content. For example, you might have a library for each current client. Within these libraries you'd have the content and documents you've been working on associated with each client. So all libraries are lists, but not all lists are libraries. Simple, right? Adding extra information to your documents (categorizing) in your lists – i.e. metadata. Organizing your documents – for more efficient storage and search. Columns can be used for categorizing documents in multiple ways – organizing documents by multiple columns means they can belong to more than one category, despite being located in a specific Site location. This then allows you to filter, sort, and group your documents in a more detailed way, making them easier to find. In a typical company – with hundreds or even thousands of employees constantly creating, editing, and storing content – adding nuance to how your content is stored is so valuable, and that is the essence of the power behind Columns. While there are a lot of powerful functions that SharePoint can help you achieve, the basic idea of how it works comes down to Team Sites, Lists, Libraries, and Columns, and by proxy, Search. Built on these relatively simple concepts is a platform that organizations use to build impressive solutions for a wide variety of business problems. Understanding the basics will help you exponentially as you continue to develop your skills in SharePoint.